Agnes V. Bullock, 68, of DeKalb, died, January 26, 2013, at Claxton Hepburn Medical Center. There will be calling hours on Wednesday, January 30, 4 -6 PM, a funeral service will follow at 6 PM, Ron Stiles officiating. Agnes is survived by sons, Robert C. Thomas, Hammond, Roland C. Thomas, Canton, daughters, Renee C. Thomas, TN, Regina C. Thomas, Gouverneur, Bethany A and her husband Robert M., Hadfield II, NC, Edith M. Bullock, DeKalb, Torrali and her husband Joe Dibble, NC, brothers, Silas and his wife Norma Savage, Lisbon, Clinton Savage, FL, Jack Savage, AZ, Clarence A. Savage, Gouverneur, Jody and his wife Candace Savage, Ogdensburg, sisters, Bonita Chevier, Gouverneur, Tonya and her husband Edward Nier, Gouverneur, Heidi Parker, Gouverneur, 23 grandchildren, 13 great grandchildren, several nieces, and, nephews. She was born on December 13, 1944 in Ogdensburg, the daughter of Clarence Bowyer and Agnes Rose Hance Savage. Marriages to Robert C. Thomas Sr. and Edward C. Bullock ended in divorce. Agnes loved to read books, make puzzles, play cards and cook. Donations can be made to Hospice and Palliative Care of St. Lawrence Valley. 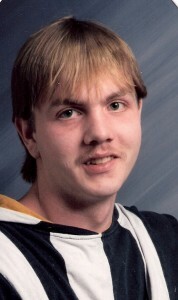 Robert A. Holt, 35, of Canton, died, January 24, 2013, at his home. There will be calling hours on Monday, January 28, 3 – 5 PM. Robert is survived by his parents, Richard H. and Rosanne M. Weaver Holt , Canton, paternal grandmother, Cecile R. LaPierre Holt, Gouverneur, a brother, Richard A. Holt, Ketchikan, Alaska, a sister and brother in law, Jennifer and Shawn Lashua, Hermon, nieces, Courtney Holt, and Sierra Lashua, nephews, Kodi Wentzel and Draven Lashua, great nephew, Cohen Marin, Jennika Shipee, Dylan Petrie, many aunts, uncles and cousins. He was predeceased by his maternal grandparents, Grace and Alex Weaver, and paternal grandfather, Richard Holt. Robert was born on December 20, 1977 in Watertown, he graduated from Hermon DeKalb Central School in 1997, and he then worked for NYSARC in Hermon as an assistant habilitation specialist. A marriage to Jessie Gladle ended in divorce. He loved to disassemble and reassemble anything mechanical, welding, and working on cars. In lieu of flowers donations can be made to the American Diabetes Association. 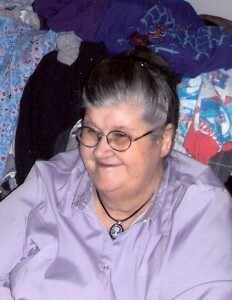 Delima M. Moore, 76 of Fine, died, January 18, 2013, at her home. There will be no services. 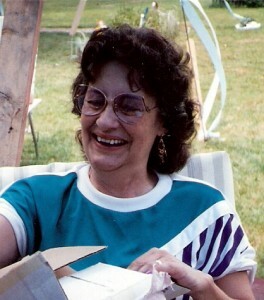 Delima is survived by her husband, Dean K., sons Carl and wife Barbara Provost, Newton Falls, Jeffery and his wife Roberta Provost, Newton Falls, a daughter, Lorrie and husband Sam Antwine, Fine, stepdaughters, Sheila Moore, Watertown, Kristy Clay, Watertown, a sister, Margaret Moran, Schenectady, 7 grandchildren, 17 great grandchildren, 1 great great grandchild, 4 step grand children, several nieces and nephews. She was predeceased by brothers, John and Wilfred Grenier. Delima was born on October 22, 1936 in Tupper Lake, the daughter of John and Mary Derosier Grenier. She married Dean K. Moore on August 7, 1990 in Harrisville. She was a laborer for DeMarco Construction Co. out of Rochester. Delima loved making puzzles, cooking and watching the cooking channels. Donations can be made to Hospice and Palliative Care of St. Lawrence Valley or the Potsdam Humane Society.